Posted 11:40 am by Chris & filed under . 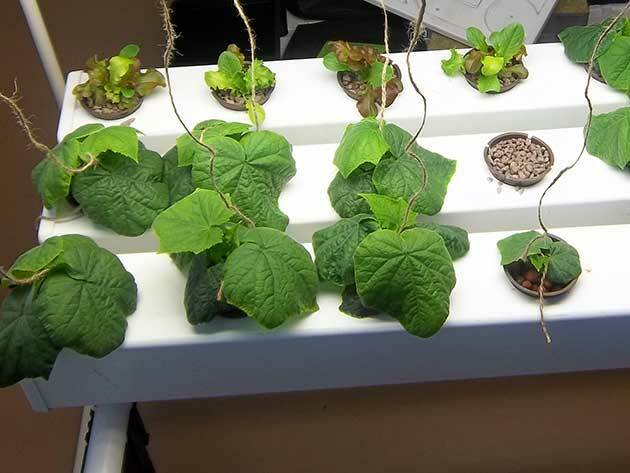 Hydroponic Gardening, What is it? From 600B.C in the hanging gardens of Babylon “working with water” to grow food and flowers has become hydroponics. It was Dr. Gericke from the University of California who coined the term “Hydroponics”. But that was in 1937, why has it taken so long to be released? What evil lurked to keep this “Secret Solution” to growing from becoming public? Yes, I know that this is can come as a shock to many, but Dr. Gericke discovered that you can grow flowers and vegetables in shallow tanks filled with water! As long as those tanks contained the minerals needed in that solution. But there was discontent among his colleagues who thought that there would be no commercial value to this new discovery. But there were several commercial growers who chose to use the Gericke system according to Time Magazine in May, 1938.